Dermal fillers, lip fillers and anti wrinkle injections have been used by dermatologists and cosmetic physicians for years to restore the skin’s vibrance and elasticity. Look and feel younger, vibrant, and rejuvenated instantly while restoring your skin’s natural balance of collagen and hyaluronic acid. 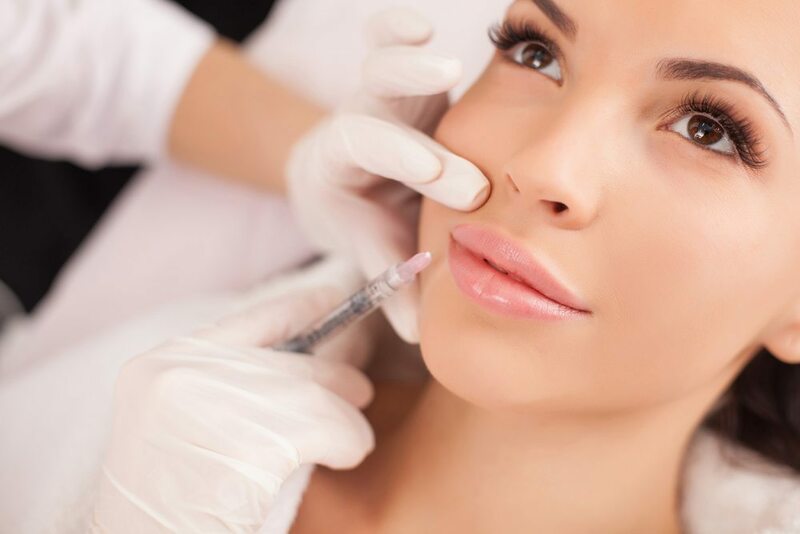 Anti wrinkle injections and dermal fillers work together, albeit carefully, to fill in creases, fine lines and wrinkles, raise the eyebrow line, and add volume to targeted areas like the lips, cheeks and jawline. Peche Medispa use the leading brands of dermal fillers Brisbane clients love, To find out if this treatment is right for you contact our team for a consultation. The inner part of the skin, or dermis, contains hyaluronic acid, which helps the body recover from cuts, wounds, and burns, and acts as lubricant for the joints (the loss of hyaluronic acid can lead to osteoarthritis). 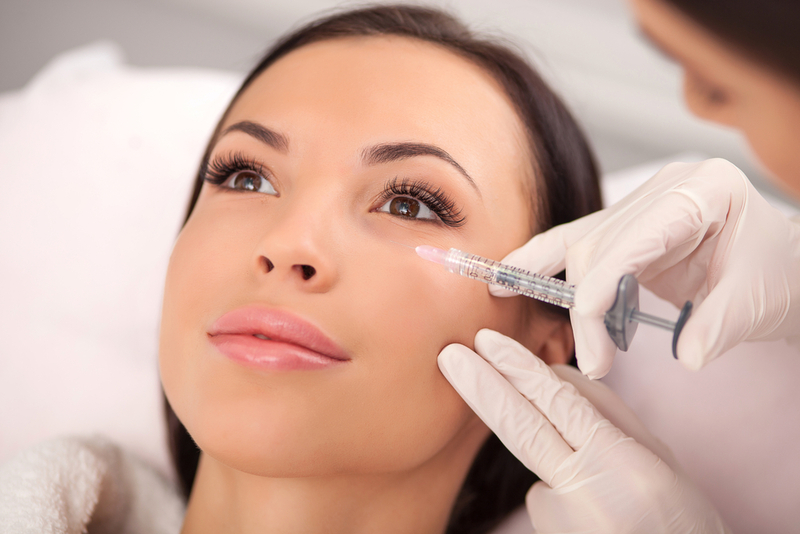 Cosmetic fillers contain hyaluronic acid to enhance the body’s natural healing and lubrication properties. Excluding water, collagen makes up 75% of the epidermis and is extremely important to skin health. Collagen, in fact, strengthens the skin and makes it more resilient. While Vitamin C can help the body maintain collagen production, it cannot replenish low levels of collagen. Like hyaluronic acid, dermal fillers can stimulate collagen production with long-lasting results and follow-up treatments needed only once every 4-6 months. Are Cosmetic Injectables & lip fillers safe? Yes. hyaluronic acid and collagen are sourced naturally from non-toxic bacteria so it’s safe to use in the human body, and some fillers last up to one year. All products are TGA (Therapeutic Goods Administration) approved, meaning your can be sure they are regulated by Australia’s Department of Health and are safe to use. All injections are carried out by a licensed, registered nurse with more than a decade of experience in dermatology and cosmetic surgery. If you want to learn how cosmetic injectables can help you enjoy a more youthful appearance book a free consultation today and we will work carefully with you to create a personalized treatment plan to leaving you looking great and feeling confident.